The day of free screens will be on Tuesday, October 23, 2018 from 7 AM – 6 PM. Call 866-588-0230 to schedule your free screen. 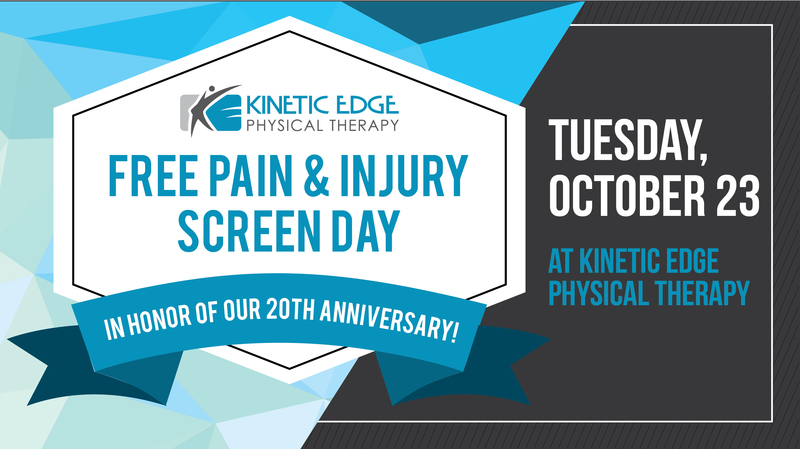 Call 866-588-0230 to schedule your free screen for October 23. PS – As a special bonus, all people attending a free screen on October 23 will receive a free report: “The Three Culprits that Cause Lower Back Pain”. PPS – In honor of our 20th anniversary, we’ll also be giving away five free CamelBak water bottles. These are going to the first 5 people to schedule a free screen for October 23.